The answers you need�the personal, "been there" advice you can trust. After his father suffered a massive stroke and his mother was diagnosed with Alzheimer's, Jim Comer found himself an overnight "parent" at the age of 51. When he walked into his father's hospital room everyone looked to him as the �man who knew all the answers.� He soon realized he didn't even know the questions. In ten years of caregiving, Comer has not only learned the questions he has lived them, and with When Roles Reverse he shares his hard-won answers. He learned to deal with hospitals, insurance companies, rehab centers, his father's deafness and his mother�s dementia. Through it all Jim has kept his sanity and sense of humor, in the process forging a deeper, more intimate relationship with his parents. Which siblings will be there when your parents need them? 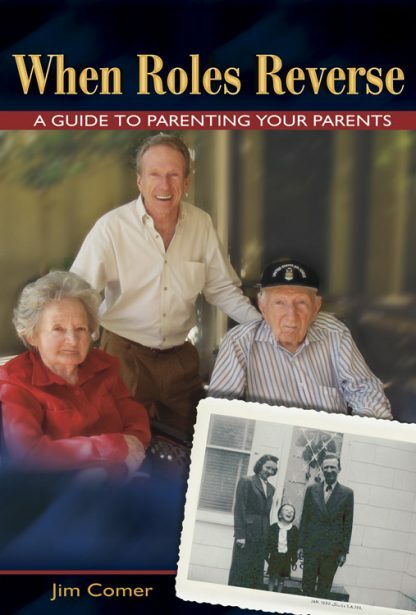 When Roles Reverse even includes "Fifty Questions that will save you Time, Money, and Tears," a special section designed to help families initiate vital communication and prepare for the crises, confusion and unexpected joys of caregiving. Jim Comer has appeared on The Today Show, written jokes for Bob Hope, Op-Eds for The New York Times, Washington Post, and Los Angeles Times, and worked as a speech coach and creative consultant for Fortune 500 companies. He lives in Austin, Texas.